Liberals are coming out of the woodwork to condemn the latest Corsi book “The Obama Nation-Leftist Politics and the Cult of Personality”! Like this one (who doesn’t even have the courage to name the book), this one and many others. It is a thoroughly researched and well documented book that delves deep into Barack Obama’s history, what little there is, and highlights how the Democratic presumptive nominee’s current rhetoric is hardly in synch with his past. But then a lot of us knew that didn’t we? Barack Obama is trying to be cool by Txting his VP choice to his supporters. Ooooh. Ahhhh. That’s what the MSM is doing; pawning over the idea as usual. And the worst thing is that the idiots who support him will probably think this is the coolest thing since… umm…. Al Gore’s internet. YAWN! Look, the moment he announces it, it will be all over the news anyway – and even if he txts first and makes the media announcement second, who fricking cares? Yet another publicity stunt by Barack Obama, the fraud. Liberal hypocrisy at its finest. Hogwash! Heeeerrzz Jesse! 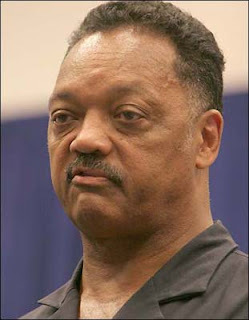 Jesse Jackson again and his big old mouth. He wants to cut the nuts off of Barack Obama because he is talking down to black people. What’s the matter Jesse? You mad because Barack Obama isn’t using gutter language like you (and most blacks) do? The dim witted Jesse says he didn’t realize the mic was on. Hahaha! Good one Jesse, but no go. You got so much egg on your face, you’re gonna be yellow pretty soon instead of black. Barack Obama this, Barack Obama that. In case there is any doubt that the liberal media has a one sided love affair with Barack Obama lately, all you have to do is look at the news feeds with a keyword like “election 08” and the results come back full of Obama loving press stories. Like this one; his favorite music. Yawn! What next? What brand of toilet paper he uses? Does the liberal media even proof their stuff before they put it on their blogs? They are so enamored with Barack Obama that he’s tied with himself? Hogwash! Sen. Barack Obama may be virtually tied with Sen. Barack Obama in Gallup’s national tracking poll which seeks to gauge which candidate voters support. Poor Johnny. Johnny drowned in a pool. And the libearal media can’t stop talking about it – days after the event. Why? Because the boy walked home and then died. 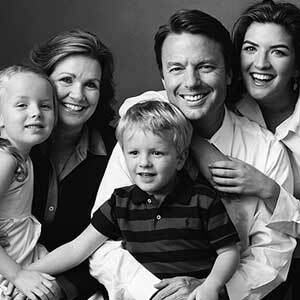 Of course the liberal media ignore the obvious here: Poor parenting. Apparently the boy couldn’t swim very well and was not taught how to swim properly and keep his head above water and/or expell water properly. Furthermore, he was not watched carefully. Funny this aspeact is not mentioned in any of the liberal Poor Poor Johnny stories. So called dry drowning is very tragic, but let point the finger where it belongs – poor quality parenting. The ever rising prison population. Blame it on the United States penal system. And of course there is the ever present liberal “concern” of racial disparities in the prison system. “….with black males incarcerated at a per capita rate six times that of white males. Nearly 11 percent of all black men ages 30 to 34 were behind bars as of June 30, 2007. Americans should ask why the US locks up so many more people than do Canada, Britain, and other democracies.”. No — Americans should see the obvious here. Black males commit 6 times more crime than white males. Typical liberal approach: look at the end results of a problem and blame those results for the problem. Let’s compare this to a computer program. If a computer program puts out an erroneous set of figures, do you blame the set of figures for being the problem? No, you blame the part of the computer program that calculates the figures and look there to find the problem. The penal system is not entirely perfect granted, but the high percentage of black males in prison doesn’t represent a problem in the prisons. It represents a problem with black males.